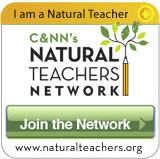 The permaculture answer: you can still do a lot. In this case, seeing the problem as the solution means turning the seeming constraints of an urban environment – the density of buildings, people, and resources – to your advantage, and doing things like intensive planting, vertical growing, and maximizing solar exposure in- and outdoors. Here I present ideas and strategies first for the apartment dweller, and then for those who do have yard space but it’s limited. Capture the energy of sunlight. Do you have windows with decent sun exposure? Then look into window gardening! For example, this neat hydroponic window farms initiative, developed through open-source collaboration, requires minimum space and no soil. Or you can experiment with other kinds of DIY designs using plastic bottles. Look at the space you do have with new eyes. Balconies, stoops and fire escapes are all perfect spots for container gardens, which make for easy harvesting, especially if close to the kitchen. Place your containers for maximum sun exposure. 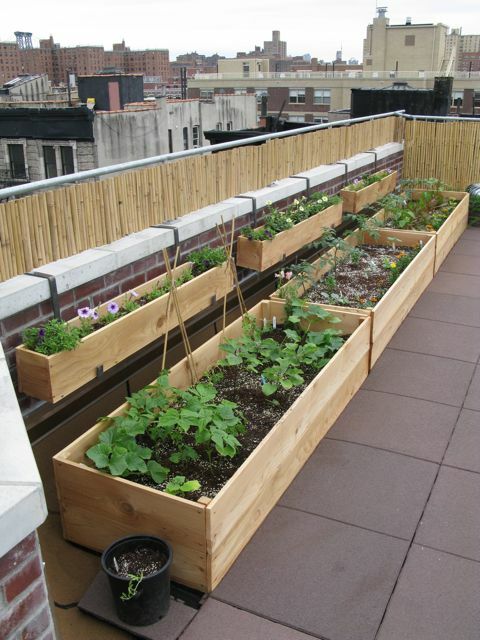 Some self-watering planter boxes, such as the EarthBox, are on casters so that you can roll them in and out of the sun. Think about different forms of growing. Not all forms of gardening and growing food have to involve soil and green leaves. For example, you can grow gourmet mushrooms indoors using the bucket method, or order a kit from a company like Mushroom Mountain. Both are really compact and can sit on your kitchen counter – or even in the bathroom. 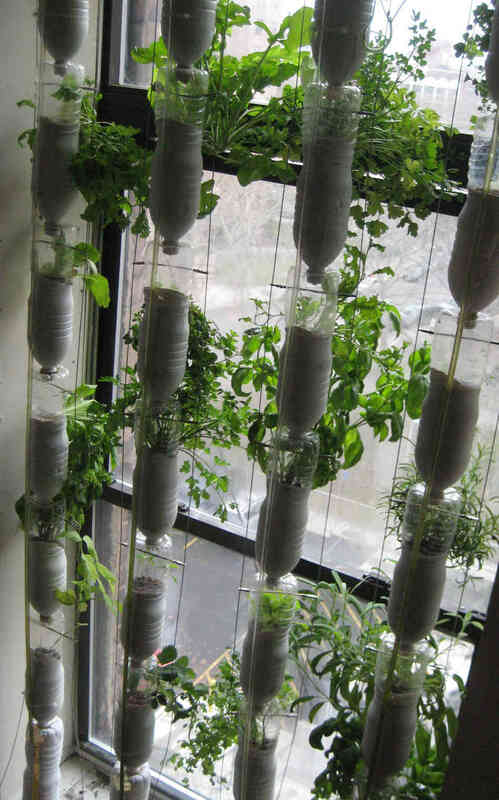 Alternatively, you could have fun with growing live cultures, aka fermenting – also a form of growing food! Brew kombucha, make yoghurt, start a sourdough batch, and marvel at the magic that these good-for-you bacteria can create when you put them to work. Lastly, you can build soil even inside a city apartment – and deal with your kitchen scraps at the same time! Vermicomposting is easy, odor-free, and can be done anywhere, including in an apartment in a Manhattan high-rise building, as this post shows. Think outside the box… I mean, apartment. Look into ways of growing food beyond the boundaries of your personal square footage: getting a lot in a community garden in your area, growing on other people’s backyards (with their permission, of course), growing on median strips (see below), rooftop gardening, and rooftop beekeeping. You won’t be alone – the numbers of people engaging in these activities are booming. Make the most out of the space you do have. 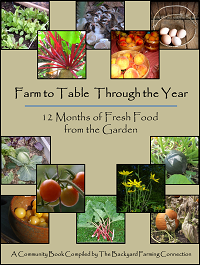 Look into strategies such as square-foot gardening and bio-intensive gardening to maximize the yields from a small area. 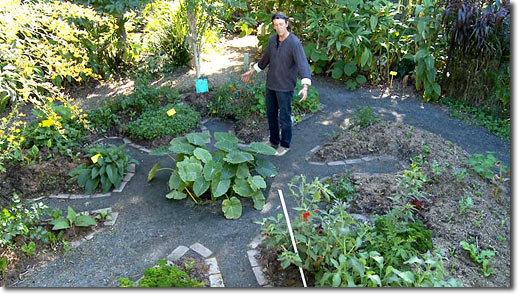 One space-saving permaculture gardening strategy is keyhole garden beds, which minimize path space while maximizing growing space. 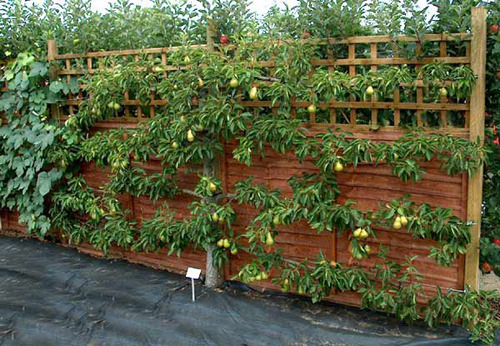 Espalier and other high-density pruning techniques, on the other hand, allow fruit trees to grow against walls or fences. Think vertically. Even if your neighbor’s property is all too close, you probably don’t have any neighbors directly above your yard, right? Trellises save space and can make fun creative projects, like this insanely tall bike wheel trellis. 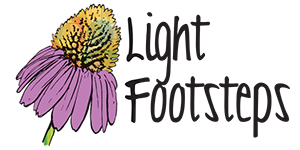 When placed strategically, a tall trellis can also protect other plants, such as lettuce, from intense late afternoon sun. 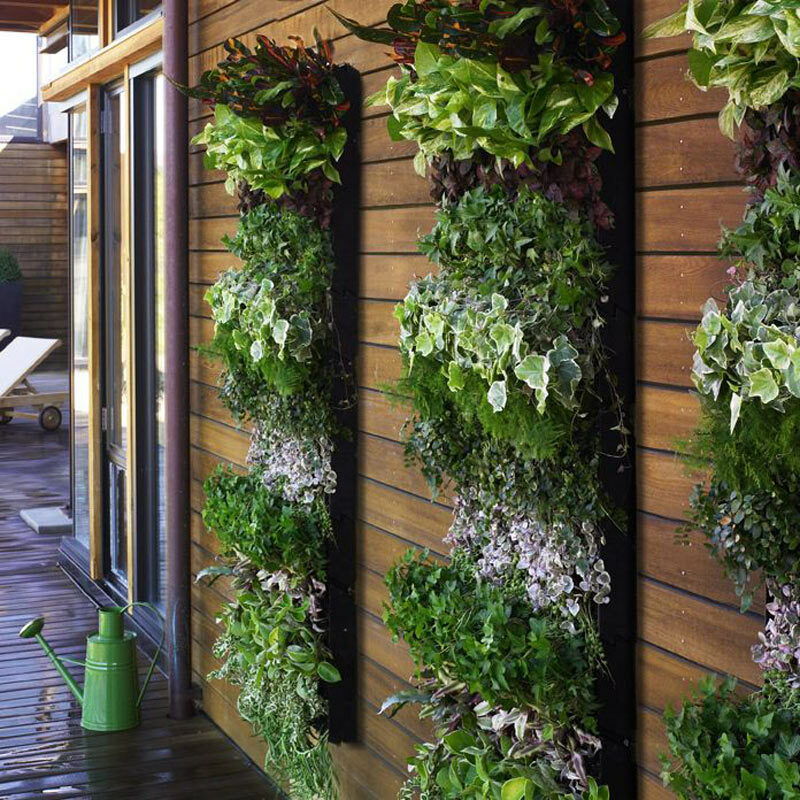 Wall gardens, or living wall planters, are another way to grow vertically, and can be quite aesthetically pleasing – see, for example, this and this. Grow on the curbside! Curbside gardens, also known as median strip gardens, make use of the space between the sidewalk and the street. Look into your city’s regulations – in most places, this will be considered city property – but that hasn’t stopped many, many guerrilla gardeners of all ages and demographics from turning these otherwise wasted spaces into thriving and productive gardens. Take it to the next level. If you are a true lover of challenges and want to grow as much food as possible on an urban lot, check out Path to Freedom’s famously productive urban yard in L.A., or this inspiring video by Geoff Lawton, “Urban Permaculture: The Micro Space” (you will have to create a free account to watch the video). They’ll give you something to aspire towards! 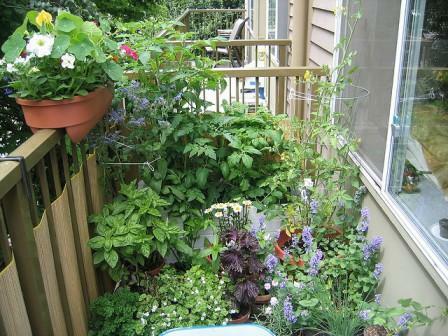 What strategies have you used to incorporate permaculture into your small spaces? Head on over to Gather and Grow to say “hi” to Mari and learn more about all of the projects she is working on! 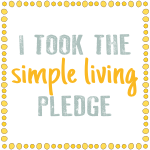 Great info and so inspiring to use all the space we have! Thank you for linking up at Green Thumb Thursday, do not forget to come and link up this Thursday again! Last year I tried box gardening. I had flowers, herbs and veggies on my little balcony deck. I also have a small bistro table with wicker chairs. I like the idea of growing plants vertically. I am always experimenting with ways to make my small outdoor space more beautiful. Reblogged this on CITIZENS FOR RESPONSIBLE DEVELOPMENT OTTAWA.